Still losing games? Don't worry, we're here to help you complete the rest of your training. Bust out your composition book and prepare to get homework assignments for a video game. League of Legends is the most played video game in the world and new players are thrown into an ocean of pain and sorrow. Last week we went over important concepts like murdering midget cultists, engaging in the destruction of private property, and how healthy it is to beat up real people rather than taking out your frustrations where they can't hurt anyone. This week, learn to be a paranoid, spying kleptomaniac! As a typical League match progresses, people begin to move out of their lanes and engage in skirmishes and team fights. 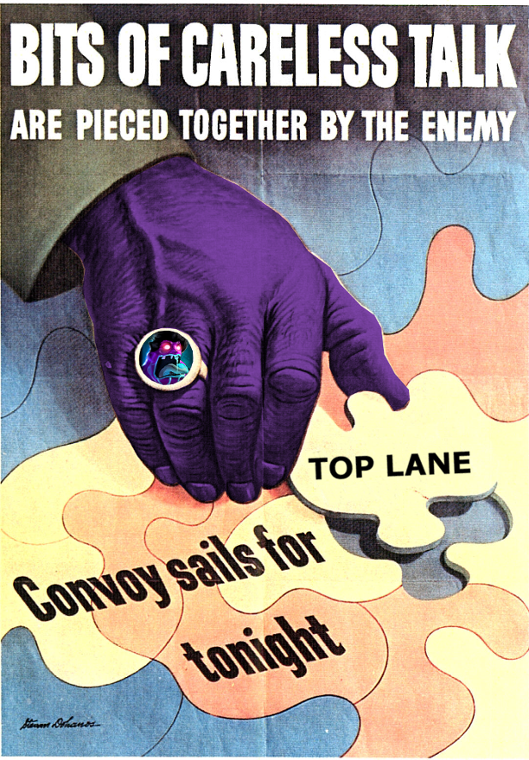 Grouping up to take objectives is important: either you want to take the strength you've gained from a great laning phase and ruin everyone else's day, or you want to band together to prevent the enemy team from doing the same. Unfortunately, many players think doing one means you can't do the other. They consider themselves to be out of the laning phase and into the team fighting phase, so they don't worry about what they were doing when they were laning and start looking exclusively for opportunities to team fight. This is mostly the right thing to do. Your ability to take objectives is greatly increased when you're in a group. That isn't to say that you need to stop ignoring minions and monsters entirely. Remember: gold wins games. Kills and global objectives are a way to get gold, but minions are delicious pinatas that will occasionally destroy a tower for you. Look for opportunities to kill a few minions or monsters wherever you go. If you've kitted yourself out with some fancy items, you'll probably be able to annihilate them with minimal effort. Without considering the nuances of high level lane control, keeping your lanes pushed is one of the most important things you can do. Your minions are happiest when they're dying in droves against an enemy tower. Give your minions a chance to do that, and try to avoid letting the enemy minions have any fun. This is another one of those finesse points. There is a balance between keeping up your farm and being available for group fights. Remember, your gold farming is there to serve your objective taking. 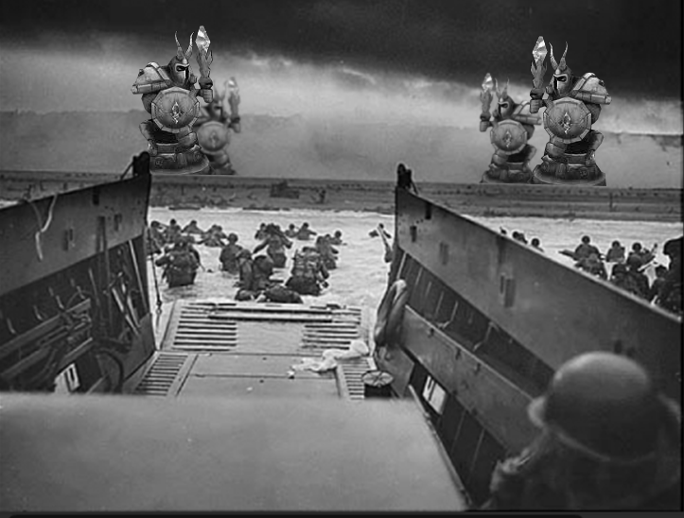 If there's a big group of enemy minions coming for a far off tower and there's no immediate objective to fight over, the ideal response is for your team to assume a defensive posture while someone goes to take care of it. With a group of uncoordinated strangers, this isn't always possible. Fortunately, the same can usually be said for the enemy team. 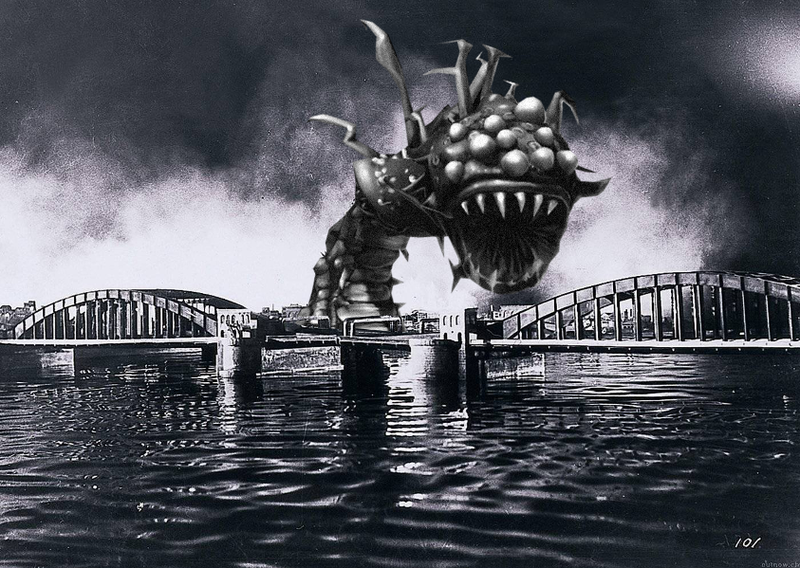 Remember the jungle monsters. Even if your team has a jungler, at later stages in the game they'll be helping with lanes, so you are not depriving them. The scoreboard, accessible by holding the tab button, is the most helpful tool that you're not using enough. It is automatically updated with the level, inventory, and creep score of enemy players whenever they show themselves on your minimap. Use it constantly to keep watch on your competition. Left clicking on a unit brings up their info, which means not only health but also inventory for enemy champions. During the laning phase, it is important to keep an eye on your opponent. Though you can roughly guess who is stronger by estimating the gold they've earned from creepscore, kills, and assists, seeing exactly what they have allows for greater strategizing. Are they stronger than you, meaning you should play safe? Are they weaker, allowing you to bully them? Did they buy a lot of Doran's items and go for early game dominance? Did they invest their gold in something for late game like Philosopher's Stone or Tear of the Goddess, giving you a chance to claw your way back in? Do your fifth grade teacher proud and make only educated guesses about what to do. Building items to counter the enemy team becomes a lot easier if you keep a close watch on what they are buying. Are none of them buying armor? Maybe you can get something better than Last Whisper. Did Riven buy her second Bloodthirster? An Executioner's Calling or Morellonomicon might come in handy. Is their burst damage loving AP carry rolling in money? Time to invest in some magic resist or health. At least buy a Hexdrinker. For some champions, you can get away with buying items without considering the enemy team. For most, outside of core items that are just too good to pass up, there's a lot of wiggle room for reactive building. Items that you'd normally avoid may be just the thing to help you win. If the only person giving you problems is an AD carry stacking Zeals, Warden's Mail may be your new best friend. If Summoner's Rift is the One Ring, you've gotta be Sauron, watching through your palantir and coveting the hell out of it. Being in control of the map leads only to good things. Your team gets to make the decisions on when to fight and where. You get more chances to catch the enemy team alone or in a bad position, and you get to avoid the enemy team when they try to capitlize on your mistakes. There are several ways to exert map control. The first and sadly least used is wards. Many pass up on them because they see it as gold they're not spending on items. Well placed wards will often earn you more money than they cost. They will get you kills and help you avoid being killed. Use common sense on where to place wards - put them where you'd like to be able to see. If you're still not sure, there are several guides out there with multiple maps. The most common way teams exert map control in lower level games is by taking towers and being strong. Peeling back a layer of towers means your minions are going to push further over time. It makes it easier for your team to move around deeper in enemy territory. Being strong is its own kind of map control. Can someone on the enemy team kill you if they catch you? Can you see where they are? If you can't, that person has stopped you from being able to safely go out on your own. This is the threat that encourages people to group up in teams, and should encourage them to buy and place wards. If you're stronger than the enemy team, exert your control over them by denying them safe options. Use their inability to safely do things to take objectives uncontested. Buy wards so you can hunt them down and punish them for not being safe. If the enemy team is stronger, fight their control by giving yourself more safe options. Use wards to keep track of them so they can't catch you. Try to use your greater knowledge to capitalize on any mistakes they may make. Growl "THE HUNTER... HAS BECOME... THE HUNTED" out loud every time your team kills someone waiting in a bush. Noticing a trend with these late game tips? Though this is important in the late game because getting caught can mean losing outright instead of just giving the enemy some gold, every player can benefit from a healthy dose of paranoia at every stage of the game. It's polite for players to communicate with their team concerning the whereabouts of the enemy they're laning against. You'll see this as "mia" or "ss" calls in chat, or at the very least just pings on the minimap. You can't always rely on your teammates being thoughtful. Keep an eye on the minimap: if you can't see someone, consider that they may be coming to kill you right now. This only gets more complicated as the game goes on and the map becomes more dynamic. Wards will help you out. The fact that you've played all the champions and are keeping track of what your enemies are buying will help you estimate how long it'd take for Rammus with Boots of Mobility to hunt you down as compared to Akali with no movement items. Always have an exit plan. If you can't know absolutely that you're safe, then make an educated guess. Don't go so far that you can't get back to safety if they really are after you. Baron Nashor is an epic monster that spawns 15 minutes into the game. He will attack the closest player on his aggro list. He deals increasing amounts of damage as you fight him, lowers the physical damage you deal, has a pit-wide knockback, and spawns geysers that knock people into the air. Scoring the last hit on Baron Nashor will award your team 900 experience and 300 gold each. You will also get a four minute buff that grants Attack Damage, Ability Power, health regeneration, and mana regeneration. This buff can tip an even balance of power firmly into one team's favor, giving them the advantage they need to win. You really shouldn't try to kill Baron. Sure, that's not a blanket recommendation. There are situations where it is completely safe to kill Baron Nashor. If the entire enemy team is dead, or they're all on the other side of the map, feel free. Often, teams won't ward at all and your enemies will have no idea that you're even doing Baron. The problem with Baron Nashor is one of coordination. If it comes to a team fight at Baron's pit, an uncoordinated team will be unable to make the split-second call to either keep fighting Baron or turn and fight the enemy team. With half of your team turning to fight and the other half wondering what to do about Baron (and maybe one guy ran away completely), your enemies have the upper hand. This doesn't even consider that Baron is still very angry with you. Even teams that are not warding at all will sometimes think to ward Baron. They may get suspicious if they see no one on the map and deduce that you're doing Baron. If they don't stop you, they might try to steal it by scoring the last hit. If you're ahead, your advantage is most likely better spent pressuring towers. 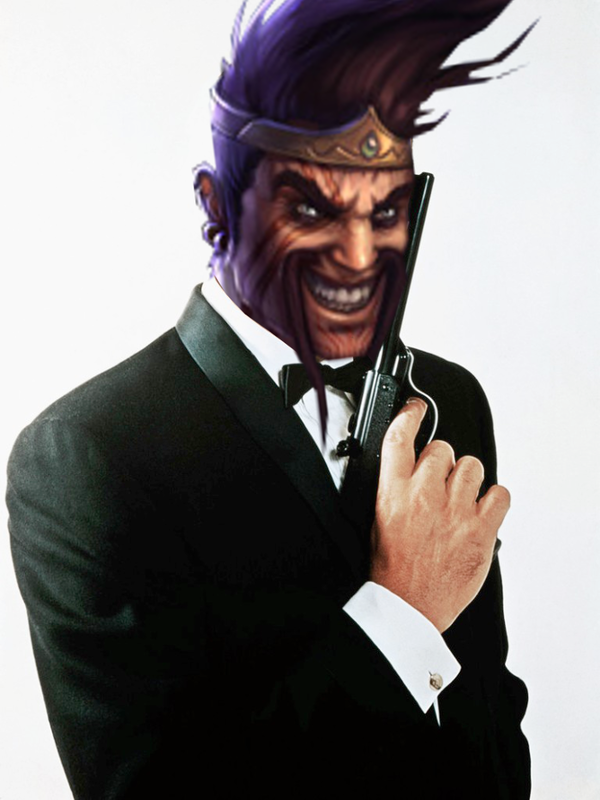 There's nothing more annoying than allowing the enemy team back into the game by letting them ace you at Baron. If you're behind, it's that much easier for the enemy team to dunk on you at Baron, and they'll be looking for a fight besides. Think long and hard about Baron being worth it. Baron's buff truly is magical, but it's not the only way to win. By keeping these tips in mind, you've firmly set yourself on the path to mastering the Fields of Justice. By the way, they're called the Fields of Justice. As in political justice. You're actually playing out complex political negotiations at the Magical United Nations. Like politics in real life, occasionally you'll think very seriously about giving up and moving to a place where your local representative won't have a spammable %health damage spell and an execute. 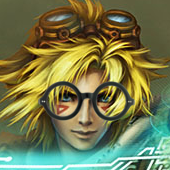 Remember: take a deep breath, tell yourself that it's just a game, and try not to think about the twenty five dollars you just spent to make Ezreal look like Mega Man.